. يقدم Diamond Island Resort and Penguin Tour خدمات لا غبار عليها وكل أشكال اللياقة وحسن الضيافة اللازمة لإسعاد ضيوفه. يقدم هذا الفندق العديد من الخدمات الكفيلة بإرضاء أكثر الضيوف تطلباً. تعكس غرف الفندق البالغ عددها 26 المنتشرة في 2 طوابق جواً من الدفء والألفة.خدمات عصرية مثل تلفزيون بشاشة مسطحة, حمام إضافي, مرحاض إضافي, سجاد, مناشف موجودة في بعض الغرف المختارة. إن شاطئ خاص, مركز للياقة البدنية, مسار جولف - ضمن 3 كم, حمام سباحة خارجي, سبا هو المكان الأمثل في الفندق للاسترخاء وتفريغ طاقتك بعد نهار طويل. إن Diamond Island Resort and Penguin Tour هو خيارك لخدمة الفنادق الراقية في المدينة. This was a very strange ‘experience to stay at this ‘resort’. It is being staffed by well-meaning Japanese students with no manager to be seen. They do their best but the place is so run down, curtains hanging off broken pelmets, rusted furniture, broken decks, chairs and exposed electric leads, it is impossible to report positively. A forlorn Japanese boy stumbled through a few penguin facts in broken English, and we wandered down to the broken platform where you are expected to view penguins. The gate is firmly shut to stop anyone joining the large well guided penguin tour on the other side of the gate. It was so absurd, many of us started laughing. To pay $220 a night fir an experience a back packer would face complained about was beyond words. These Japanese young people do their best to keep the rooms clean, provide the basic necessities in the rooms and it’s not their fault that the owner chooses not to do any maintenance. Too many faults but the main one is that they all come together to make property unsafe. Do not stay here. Why paid extra if you can have two for the price of one?? Best attraction of Diamond Island Resort is the on site penguins watching. The owner was very good and lay down the best guidelines before the penguins came in. When I was there, the owner had just taken over the resort and had just started renovation. Hope all is well as this is really a wonderful place. Clean, huge and nicely furnished room with direct access to the garden through private balcony. Saw little fairy penguins right outside our balcony. The hotel is nicely located where you can enjoy a magnificent view of the ocean and see little fairy penguins going back to their nests from the ocean after sunset. The hotel provides free penguin tour as well as another tour with charges which enables you to see penguins closely. We didn't pay to join any tour but we were lucky to spot a few penguins walking across our balcony in the garden. Room is huge, clean with a king-sized bed, dining table, fully equipped kitchen. Quick check in and check out. One drawback though, only continental breakfast is provided. With it's room rate, I think hot dishes like eggs, susages etc should be provided. apartment is very large by any standard. both the lounge and the bedroom have panoramic ocean view. kitchen is fully-functional with necessary utensils provided. washing machine is also available. there is plenty of open area outside the apratment. I saw Penguins in the beach...very lovely. The official telephone is not working properly. And there is no remark of the penguin tour starting time. We nearly miss the tour! The kitchenette has no oven. So, remember dun buy food that need oven to cook!! It only has stove and microwave. Nice apartment. Good design. Naturally surrounded. Great room design and very relaxing environment. A wonderful stay at the resort. The rooms were well designed with a lovely backyard extending to the grass area and a short walk to the beach. Would be better if the rooms were even cleaner. We had a great time watching the penguins which were in close proximity. Lovely continental breakfast too. 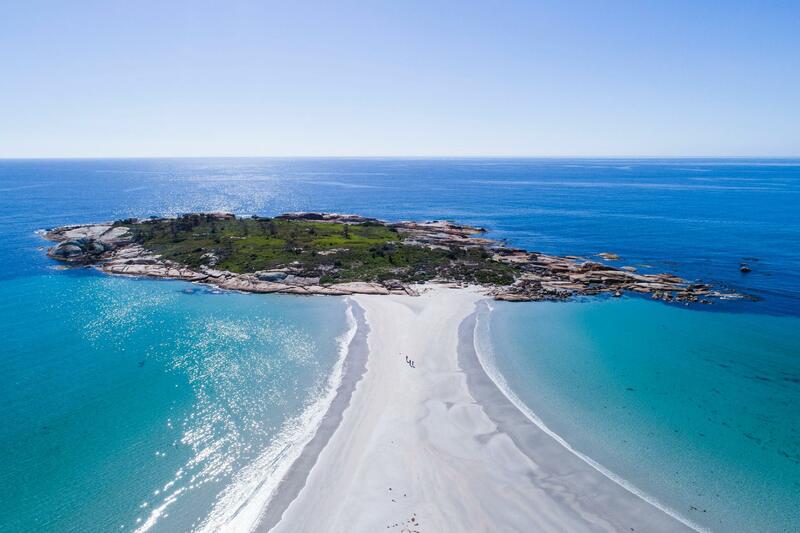 Bicheno is a small peaceful town, but where I wouldn't really recommend to others except for this penguin tour, which residents in this resort get it free. Waiting for the penguins to come back go shore at night is so much fun, and you will also hear their voice the while night! Funny experience! The view is specular, breakfast is normal but it's good enough that its included in the tariff isn't it? Good farm experience. Lot of trees, sheeps, wild animal etc, beautiful lake next to the house. Good for photograph. Very good hotel facilities including jaccuzzi, kitchen etc. Recommended for those like farm experience in Tasmania. Very warm welcome from the owner too. It is a resort of my dream. Just 5 mins drive from Bicheno downtown area, the resort is located along the beach. The resort room is well-decorated with balcony facing the sea, good for taking a sip of wine and enjoying the lovely sunset. The room is self-contained that we can do cooking in the kitchen. At night, there is tour to guide you to trace the fairy tales. Free of charge for guests staying at the resort. We stayed in early January, which of course is high season, but even so, this hotel is severely overpriced for what it is, and I would not recommend it unless it is the only option you can find (which was the case for us). Pros: the location - right next to Diamond Island Nature Reserve - is good, penguins live right next to the hotel (supposedly), pool and mini playground were popular with our little kids (6 and 4 y.o.). Cons: severely overpriced for what it offers, rooms are run down, shower is tiny, ants and bugs in the kitchen, staff have no sense of service or hospitality, the "guided penguin viewing tour" consisted of walking to the edge of the hotel premises (about 100 metres) and receiving inadequate explanation in broken English, no housekeeping service even if you stay multiple days. The location is quite unique with penguins living right by the property and the white sandy beach (not quite swimmable due to strong winds and rough current) leading off to Diamond Island. The pool and the small playground were popular with kids. Overall, however, we felt that this hotel was extremely overpriced and was not worthy of the price tag by any stretch - we paid approximately A$425 per night for a “Beachside Villa”, but it was no villa by any means. The rooms and facilities are somewhat run down, and we had ants all over the kitchen. The staff are all inexperienced and amateur workers most likely on working holiday visas with no sense of hospitality whatsoever. The “guided penguin tour” was simply a walk to the viewing deck located within the premises and an inadequate explanation in broken English. There was no housekeeping, either. For the price we had to pay, we would have expected far better service and experience. Poorly maintained property. Lights missing. Poor bathroom. Smell within units. States penguin tour but this is not involved at all. It involves standing on a platform off the beach to watch the penguins quickly scatter to their burrows . Poor advertisement certainly not worth the money paid for even at a reduced price!! Good manner to costumer and great private beach. We stayed there for seeing the Penguin, but the beach was close for Penguin tours. Though it is a beach resort, we can't access the beach in the early mornings and late evenings. We drove a km away to access the beach. We thought we had checked in the wrong place. Everything was either so old or not working. Our living room’s lights were not working and the stove apparently is on display only as it was not working as well. The sliding door to the toilet was a nightmare as it was not easy to slide open and close. The bed was so lumpy and soft we wake up feeling sore all over. Unless they have an overhaul, would strongly not recommend this place to anyone . We are sorry 2 bulbs failed to work during your 2 day stay, ( out of 20 lights in ceiling) It is very bright, which is why we use dimmers, and the stove does work as a staff member pointed out to you There is no need to turn off the second wall switch if you cant remember to turn it on again. Your comment is just plain wrong about the beds ( they are new King Beds with a soft padded 60 mm layer on top of each one.) As for sliding doors they can be a little fiddly to use at times. Our maintenance people will make the sliding doors work better. The location is great because we can watch the penguin parade from the backyard for free, and the girl who gave explanation about them is excellent. The lady at the reception is also really kind and nice. But I think the price via agoda is to high. We came during summer, and the flowers are blooming. Beautiful. Bathroom is a bit smelly tough. Everything was fine with the room, it's clean, the bed is comfy, the kitchen is stocked with most things you could need, but be advised there is no wifi in the room. Only in public areas. I also want to share that if you opt to use the hotel's platform for penguin viewing, you cannot see them come up from the beach (if this matters to you). Some birds will walk past the platform on their way to their nest (most birds nest in the rookery just adjacent to the hotel, but some birds nest wherever they like, and sometimes that's in the middle of the small roundabout at the end of the drive). You will see penguins. But the formal tour from in town brings you back to this property, has access to view the penguins as they come up from the beach, and has access to the rookery on crown lands, which hotel guests do not during the evening time the penguins are most active. If management tries to convince you otherwise, at least get a second opinion from the formal tour. As it happened, we had booked the formal tour first, and accommodation second. We didn't go into town just to catch the shuttle back to the hotel, instead we joined the tour down at the beach gate, but make sure you discuss this with the tour company so they know to expect you there. 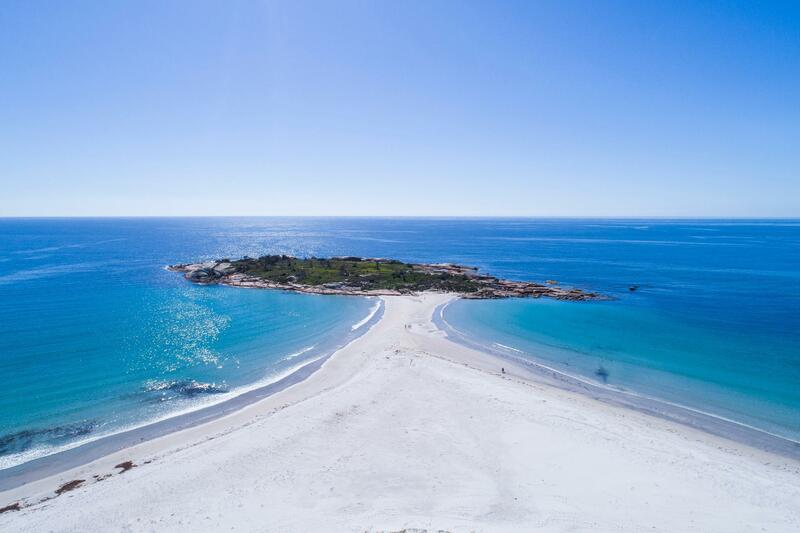 We were thrilled with the formal tour experience, and highly recommend it, especially if you only have one night in Bicheno. And if you are staying on the hotel property, you can hear the penguins chattering amongst themselves throughout the night from your room. It's not a disturbing volume, but I would wake up a little at times, hear them, smile to myself and go back to sleep. Carrie you appear to advertise the other tour operator while staying here at the resort, ( no photos allowed, and no torches, you stand in the dark) you are just plain wrong on several issues, the only place you can take photos is from our platform, which is recommended by parks and wildlife. we can access the beach others can't, we allow 1 hour for them to do their tour, after this we go to the beach and sometimes to the island at night, the little penguins do walk through the resort grounds up to the bush area top side of the resort. 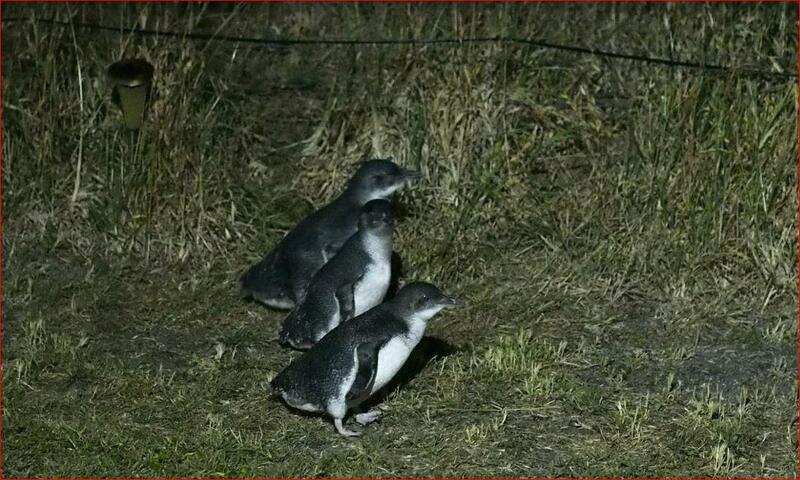 We live with the little penguins, all day and every night, the other tour operator only come here for an hour at night. By the way we cater for elderly and wheelchair bound people, from our rooms to the platform area, room for all to enjoy.